Apple to Release iOS 8.1 With Support of Apple Pay on October 20th? It appears that aside from the financial results in the fourth fiscal quarter, on October 20th, Apple is planning to release iOS 8.1 and launch its long-awaited payments service called Apple Pay. This is what Bank Innovation writes. Another thing, which indicates that the next-gen mobile operating system will indeed come less than in three weeks, is the fact that it has been recently seeded to developers for testing. Sources close to Apple have been confirming that Apple Pay would be attached to iOS 8.1 since the September 9 iPhone event held earlier this month. Sources who spoke to Bank Innovation indicated that the public release of iOS 8.1 will be in sometime in October and may have improvements for other Apple services. Apple Pay is a new payments system based on NFC that uses Touch ID fingerprint sensor to make the purchases as secure as possible. It was announced last month, during the iPhone 6 and iPhone 6 Plus launch. 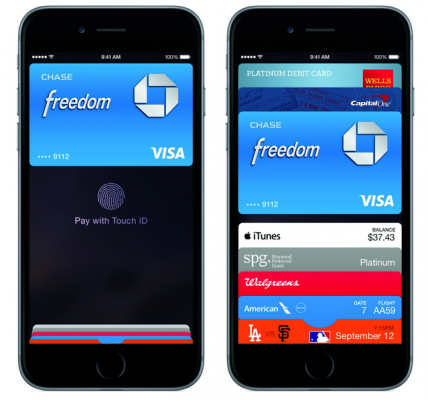 Major U.S. retailers and banks will support Apple Pay.